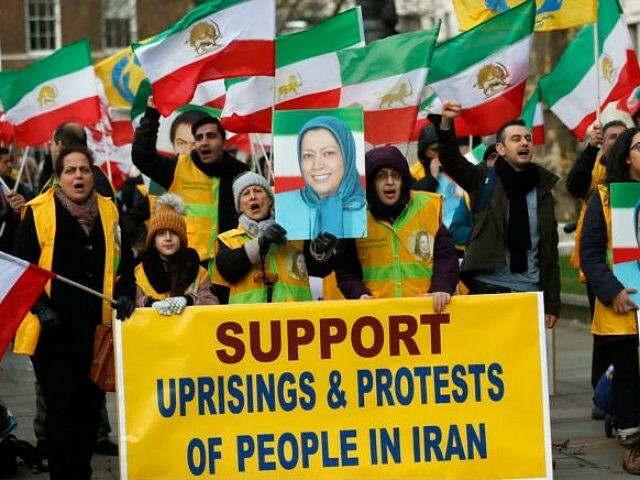 Speaking on his Sunday night national radio broadcast “Aaron Klein Investigative Radio,” Klein further opined that these events could set the stage for a successful revolution to topple the Shiite fundamentalist Iranian regime. “The time is ripe for a revolution in Iran,” he said. They don’t care about their people. The regime could care less about feeding the people. They’ve made hundreds of billions of dollars from the Iran nuclear deal. It is not only not trickling down to their own people, many of whom are living in poverty, but it is…flowing instead to build Iranian bases in Syria. Going to terrorism. Going to Hezbollah. This astonishing Mossad operation has to have sent shockwaves across the Iranian Revolutionary Guards. Clearly, if the Mossad can penetrate the most secretive Iranian nuclear archive… We are talking about only a handful of people or a little bit more who knew about the existence of this archive. Somehow, the Mossad not only got in, but smuggled the entire thing out. This is enormous, but it also shows the Iranian people and the Iranian opposition that the all-powerful Iranian Guards — actually they are not that all powerful after all. In fact, they couldn’t even protect this nuclear archive. The Iranians know that Israel and the United States are coordinating heavily. The Iranians know that the Sunni Arab regimes in the Middle East — I am talking to Saudis, the UAE, and others — are totally on the side of Israel when it comes to isolating Iran. Iran has very few friends. Even the Russians have to be selling the Iranians out, by the way. I mean, come on, does anybody believe that Israel is carrying out these airstrikes in Syria and Russia hasn’t given a wink, wink, nod, nod to let them get away with it? I don’t have any information to that effect, but you have to be naive to believe otherwise. So what I say as I sign off right now until next week. Right now, I’m singing off from the Dead Sea. Next week live from Jerusalem. What I say is…the Mossad, Israel, the international community just exposed the Iranian regime not just weak. But weak and now the time is ripe to strike. The time is ripe for a revolution in Iran. And I do hope that the Iranian people who want freedom and democracy stand up.